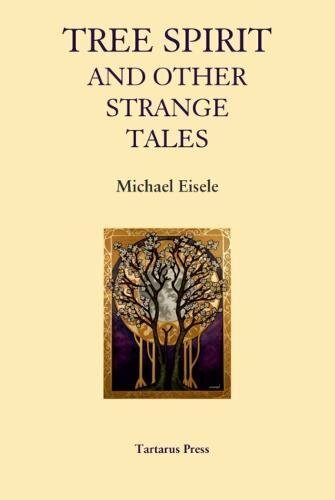 Michael Eisele’s latest book of short stories, as the name suggests, is full of spirits and fae creatures and is rich in mythology. The opening story “Mouse” is one of many stories in this collection where humans interact with otherworldly beings and so sets the tone for most of the book. In this story, a struggling artist finds that his mentor is caring for a small spirit creature that has lived in the town from when the town was still a forest. The artist is inspired to paint a canvas of the spirit creature’s lost world, a painting that opens up much more. In “Tree Spirit”, a wood carver makes a deal with the spirit of a fallen tree to turn her into a boat so they can both see the world. In these, and many of the other tales of deals with the spirit world, the outcome is driven by the mythology that the spirits inhabit and is never quite what the humans might have expected. Many stories follow a similar trajectory of discovery, interaction and twisted resolution but draw on a range of different traditions, including Irish, Germanic and Native American. While many of the stories feel like classical tales of mythology, a few are more experimental. “Come Not High” combines Irish mythology with a science fiction colonisation trope. “Mr Saria” also takes a scifi angle, told from the point of view of an alien looking for a special child. And there are a series of stories told from the perspective of a familiar—an animal spirit who serves a witch living in the mountains of Virginia. Eisele’s stories often feel like a bit of a throwback to faerie tales of the nineteenth century, not only in content but in style. But it is the science fiction and horror inspired stories that stand out by breaking from this mould. This review first appeared in Aurealis #115, Australian Science Fiction and Fantasy Magazine, www.aurealis.com.au.